Summer and fall in Seattle are almost mystical, with hours upon hours of sunlight, glorious sunsets, and a twinkling evening skyline. 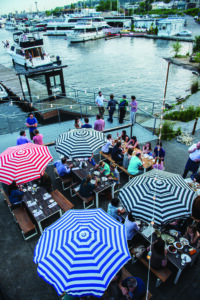 Several local restaurants take advantage of the sublime weather, pairing their already outstanding menus with outdoor seating and picture-perfect locales. Here’s where to soak up a bit of Seattle magic, and the undeniably feel-good vibe that comes along with it, at your next meal. The obvious place to get stunning views—emphasis on the views—is along Seattle’s miles and miles of waterfront. Start with a don’t-miss Pacific Northwest experience: coasting across Elliott Bay aboard a West Seattle Water Taxi. Boats depart from downtown’s Pier 50, letting hungry diners drink in photo-worthy views of Seattle’s skyline before docking in the West Seattle neighborhood. 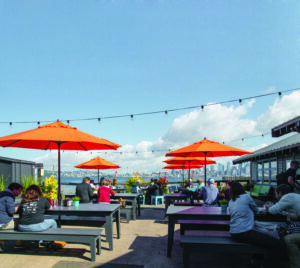 Once on dry land, stroll to Marination Ma Kai (1660 Harbor Ave SW; marinationmobile.com), a Hawaiian-meets-Korean eatery at the water’s edge that got its start as a food truck. Breakfast begins with Hawaiian loco moco or Spam musubi, lunch and dinner bring Marination’s signature spicy pork tacos and kimchi fried rice, and dessert means a mound of refreshing shave ice. There’s a full bar, too, so you can kick back on the sunny patio and drink in the views with a cold beer in hand. Equally relaxing and delicious eats can be found at the Fishermen’s Terminal (3919 18th Ave W; portseattle.org) in Magnolia. Peruse the markets to pick up the freshest catch or, if you haven’t anywhere to cook it, swing by Chinook’s at Salmon Bay (*1900 W Nickerson St, Ste 103; anthonys.com) for a meal. 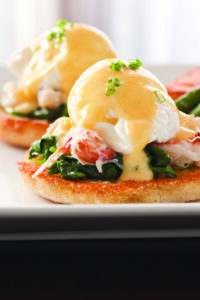 The restaurant has a few locations around the Pacific Northwest, and this one sports a casual vibe and family-friendly menu, offering dishes like wild Alaskan salmon or lingcod fish and chips, rockfish tacos, oyster stew, and Dungeness crab Louie. 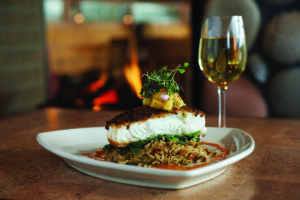 The blue-collar menu suits the view, too: Diners look out onto more than 400 commercial fishing vessels that moor at the terminal. Just a few doors down, the Bay Cafe (1900 W Nickerson St; baycafefishermansterminal.com) dishes up more casual eats, with an all-day greasy spoon breakfast and affordable diner fare amid the same remarkable backdrop. On the north shores of Lake Union, find Westward (*2501 N Northlake Way; westwardseattle.com), a fairly new eatery that landed on Bon Appétit’s list of the country’s top 10 new restaurants in 2014. Stop by and you’ll see why. Westward affords spectacular glimpses of the water, with the city skyline spread out behind, which can be admired on end beside the outdoor fire pit. Adirondack chairs, striped umbrellas, and other lakeside lounging equipment all come standard. Slurp a dozen oysters, sip craft cocktails, and watch the floatplanes take off and land. In other words, spend the perfect Seattle afternoon here. In downtown, two elegant establishments on the piers dole out gorgeous sunsets and heavenly seafood in turn. AQUA by El Gaucho (*2801 Alaskan Way; elgaucho.com) at Pier 70 gives seafood a steak-house twist—think seared scallops, ahi tuna tartare, pancetta-wrapped prawns—to match the spread of Elliott Bay through the windows. Six Seven Restaurant (*2411 Alaskan Way; edgewaterhotel.com/seattle-six-seven-restaurant) at The Edgewater Hotel has a similarly enviable patio and equally delicious menu. Meals here bring all-day Pacific Northwest favorites like Dungeness crab Benedicts, cedar plank–smoked salmon, and succulent Penn Cove mussels. 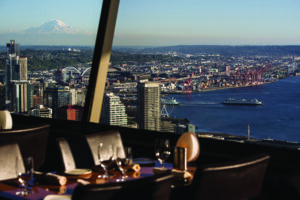 For a fine-dining affair with some of the city’s best all-around sights, book a table at Canlis (*2576 Aurora Ave N; canlis.com). 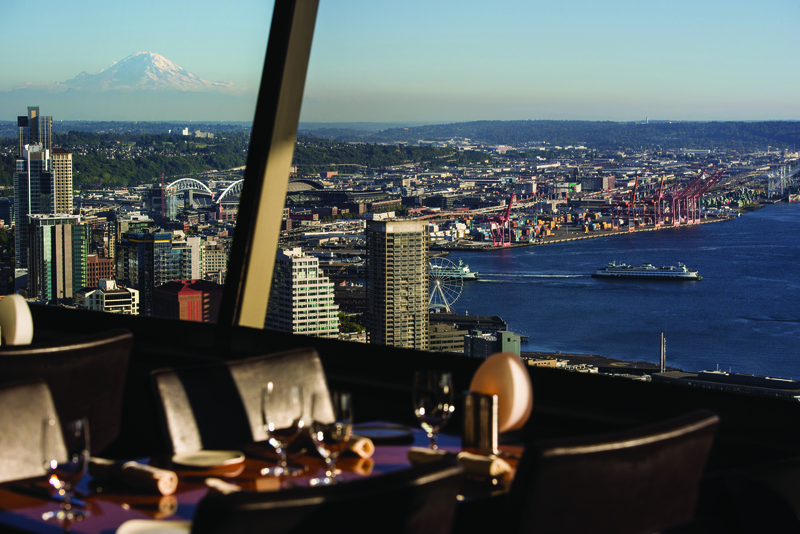 Perched on a cliff overlooking Lake Union, this family-run restaurant is perhaps Seattle’s fanciest—make a reservation, dress up, and expect a dinner (and unparalleled service) worthy of the restaurant’s bird’s-eye view of the water—some 60 years running. Last-minute planners should note that Canlis’s lounge is walk-in only, making it a perfect destination for well-crafted cocktails at sunset while listening to the resident pianist plucking out pop tunes. A similarly quintessential meal can be had at SkyCity (*400 Broad St; spaceneedle.com/skycity-restaurant), the rotating restaurant atop the iconic Space Needle. From your table, expect to see a 360-degree panorama of the city—it’s equally beautiful during the day at lunch—as you gently rotate in a full circle over 47 minutes. The menu has a fantastic Washington wine list and classic regional fare, like a wild king salmon in cider butter and the mocha-braised short ribs. Even better, every meal comes with a free trip up to the observation deck. 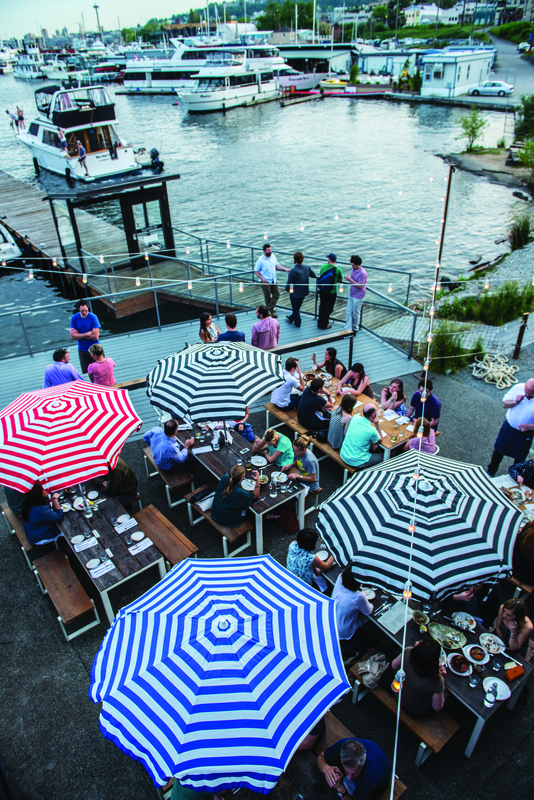 Two other Seattle mainstays serve up the perfect blend of classic seafood and sublime views, plus low-key and high-class dining options along the water. Ray’s Boathouse and Ray’s Cafe (*6049 Seaview Ave NW; rays.com) offer remarkable outlooks onto Puget Sound and Shilshole Bay. The casual lunch-and-dinner Cafe upstairs is suitable for the whole family, with kids loving the house-made chicken fingers and parents tucking into seafood salad, crab legs, or seafood fettuccine. Downstairs, the upscale Boathouse is a dinner-only classic with wide floor-to-ceiling windows that show off the water. If you’re a fan of oysters, come at happy hour, grab a seat on the deck, and enjoy the splendor of the Olympic Mountains on the horizon. Ivar’s Salmon House (*401 NE Northlake Way; ivars.com/locations/salmon-house) on the shores of Lake Union dishes up an equally stunning experience with alderwood-grilled sockeye and smoked-salmon chowder in a longhouse-inspired restaurant overlooking the water. There’s also a take-out window that slings fish and chips for casual diners to enjoy on the outdoor patio. Kayakers and stand-up paddleboarders sometimes stop here to grab a bite before paddling out once more. No matter where you end up, don’t forget your camera—and your appetite.